书籍简介: Why do so many business deals that look good on paper end up in tatters once they’re put into action? Because deal makers often treat the signed contract as the final destination in their bargaining journey―instead of the start of a cooperative venture. 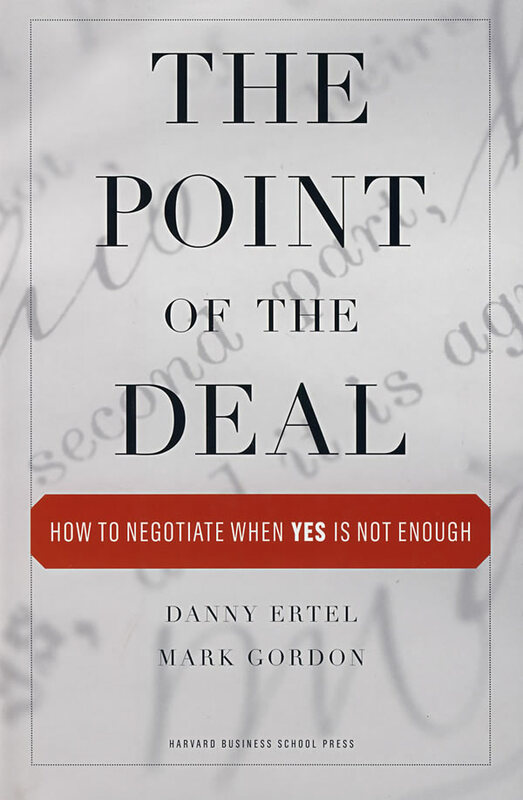 In The Point of the Deal, Danny Ertel and Mark Gordon show what negotiation looks like when the players involved strive to make the deal work in practice―not just on paper. In this book, you’ll discover how to make the transition from concentrating on getting the deal done to focusing on what it takes to achieve value after the ink has dried. With a wealth of examples from multiple industries, countries, and functions, the authors illustrate how their approach to crafting an implementation mind-set works in all kinds of familiar business contexts―including mergers and acquisitions, joint ventures, alliances, outsourcing arrangements, and customer and supplier relationships. DANNY ERTEL is a founding partner of Vantage Partners and head of its outsourcing practice; an award-winning author and leading authority, on negotiation and relationship management; and chairman of Janeeva, Inc.